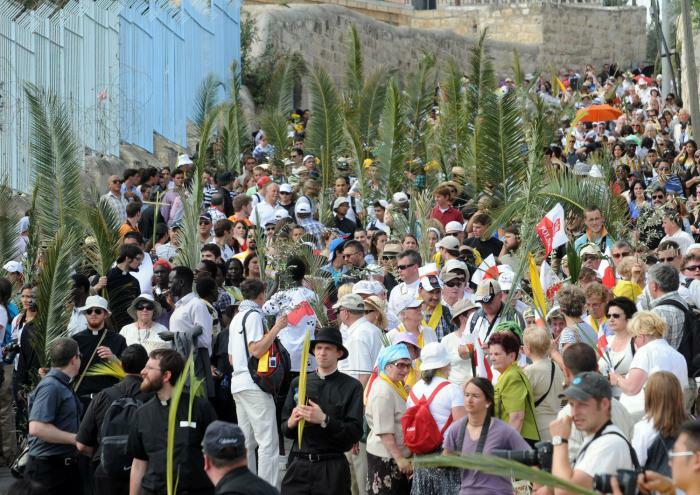 As we celebrate Palm Sunday of the Lord’s Passion we mark Christ’s entry into Jerusalem and the beginning of Holy Week. It is often called the “week that changed the world!” This week we enter into the most sacred time of the year. During our Palm Sunday Masses, the Gospel account of the Passion of Christ is proclaimed. Crucifixes are veiled and statues covered until after the Good Friday ceremonies and just before the Easter vigil Mass on Holy Saturday. 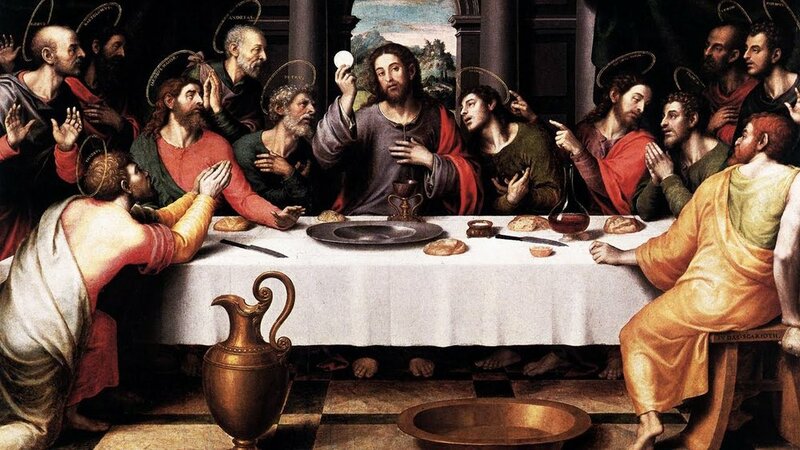 On Holy Thursday we celebrate the Mass of the Lord’s Supper – that commemorates the institution of the Holy Eucharist at the Last Supper and the institution of the Priesthood. On the night before Jesus Christ was crucified, he changed bread and wine into his own Body and Blood and ordained the apostles priests. He commanded the Apostles – and their successors through the centuries – to act in his stead and re-present this holy and living sacrifice. So at every Mass, by way of transubstantiation, the bread and wine offered by the priest becomes Christ’s Body and Blood again. After the Last Supper and before he was arrested and condemned to death, Jesus went to pray in the Garden of Gethsemane, accompanied by two of the disciples. So after the Holy Thursday Mass, the remaining sacred hosts are carried out of the sanctuary to an “altar of repose,” and we are invited to go with the Eucharistic Christ in a procession. We are then invited to stay for a time prayer “in the garden” as we adore the wondrous sacrament that Jesus instituted that day 2,000 years ago. Our Church remains open until Midnight on Holy Thursday as people come to stay with the Lord in prayer and adoration. The Mass of the Lord’s Supper finished, the Church – now without the Eucharist – is truly empty. So the tabernacle light – which is always lit signifying Christ’s presence – is extinguished, and the tabernacle door is left open, exposing the vacant space inside. The altar is stripped bare of its linens and candles, holy water is removed from the Church’s fonts and the sacraments are not celebrated until the Easter Vigil. Like the first Christians bereft of Jesus and mourning the two days after the Crucifixion, the Church stands unadorned until the Easter Vigil Mass on Saturday night. 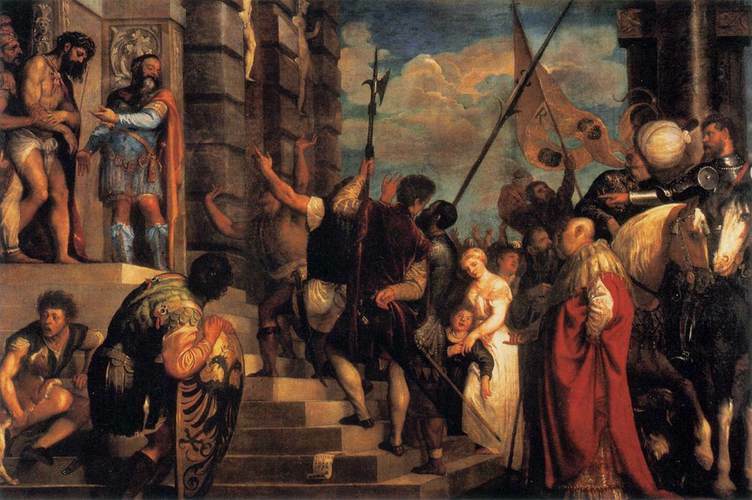 With the resurrection of Jesus, the Church’s joy is restored. On Good Friday, we recall Christ’s Crucifixion. We are invited to make the Stations of the Cross as we make a spiritual pilgrimage to the principal scenes of the salvific Passion of the Lord. We pray and meditate at each station the Lord made on his way to Calvary. Also on Good Friday, we gather for the central liturgical ceremony of the Liturgy of the Lord’s Passion. This includes a reading of a Gospel account of the Passion, reception of Holy Communion (consecrated at Mass on Thursday night) and veneration of the Cross. At this somber liturgy, we are invited to “behold the wood of the Cross on which hung the salvation of the world.” In this act of devotion we process to Christ at the foot of the sanctuary to reverence the crucifix. “We adore You O Christ and we praise You, because by Your Holy Cross You have redeemed the world.” Good Friday is traditionally a day to keep quiet and silently reflect on the suffering and death of Christ. It is a day of fast and abstinence from meat and day when we put aside the worldly distractions around us to focus on Christ who died for us and our sins. On Holy Saturday our silence and prayer continues. And is only broken by the joyful songs of the Easter Vigil — the Exultet and the Great Alleluia! As we rejoice and proclaim Christ's victory over sin and death. We welcome the newest members who are received into the Church. We bask in the Light of Christ breaking the darkness or our world. We continue our rejoicing on Easter Sunday as we mark the empty tomb and the resurrection of Christ! It is indeed the week that changed the world and it begins today. I pray you make it a week that changes your world. Please join us for Holy Week services! Let us pray, adore and rejoice together in mysteries of our Catholic Faith. A Blessed Holy Week and Holy Easter to all!